The Euro-Med Monitor overall strategic direction is guided by the Board of Trustees, and governed by the Annual General Meeting (AGM) which meets each year. AGM appoints The Steering Committee and approves the external auditors. It also receives the audited accounts reports of the organization. The General Assembly is the supreme governance body. In addition to the Steering Committee, Euro-Med Monitor has a leadership team which is headed by the Executive Director. The team has different backgrounds; lawyers, human rights experts, journalists, and economic experts. The Euro-Med Monitor’s strategic direction is guided by the Board of Trustees. Meeting at least once a year, it can also contribute to the short and long term strategic Plan. The Board is made up of eminent experts from the world of human rights including professors, leading academics, legal experts, advisors and international activists. The General Assembly is the supreme power of the organization. It consists of all members. It convene once a year in a regular session whenever necessary, at the request of the Committee or the auditor, or when one fifth of the members of Euro-Med Monitor make a written request indicating reasons. Decides on the admission of members and, on appeal, on the exclusion of members. Decides on the dissolution of the Association. The Steering Committee (SC) is elected for five years. All members are eligible for reappointment. The SC that is elected during the creation of the organization is approved by the first General Assembly. 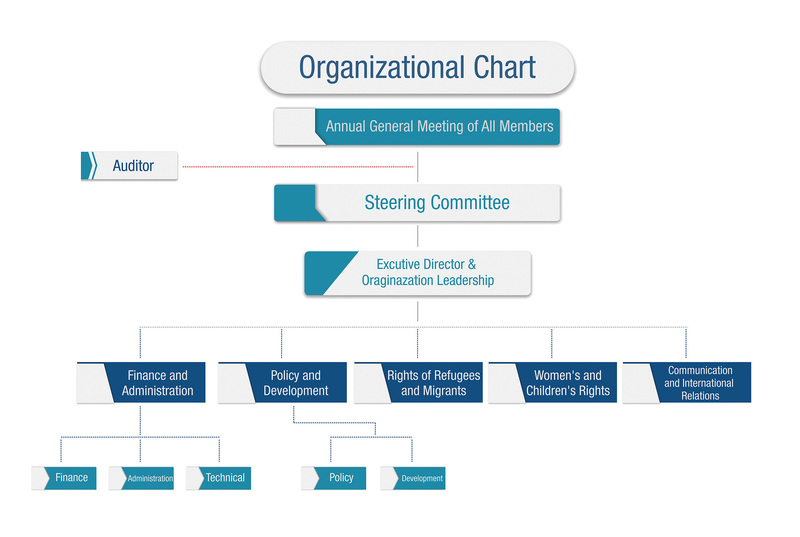 Appoints and dismisses the members or supporters of the Executive Board and their alternates.